Cellos are Big. They Used to be Bigger. 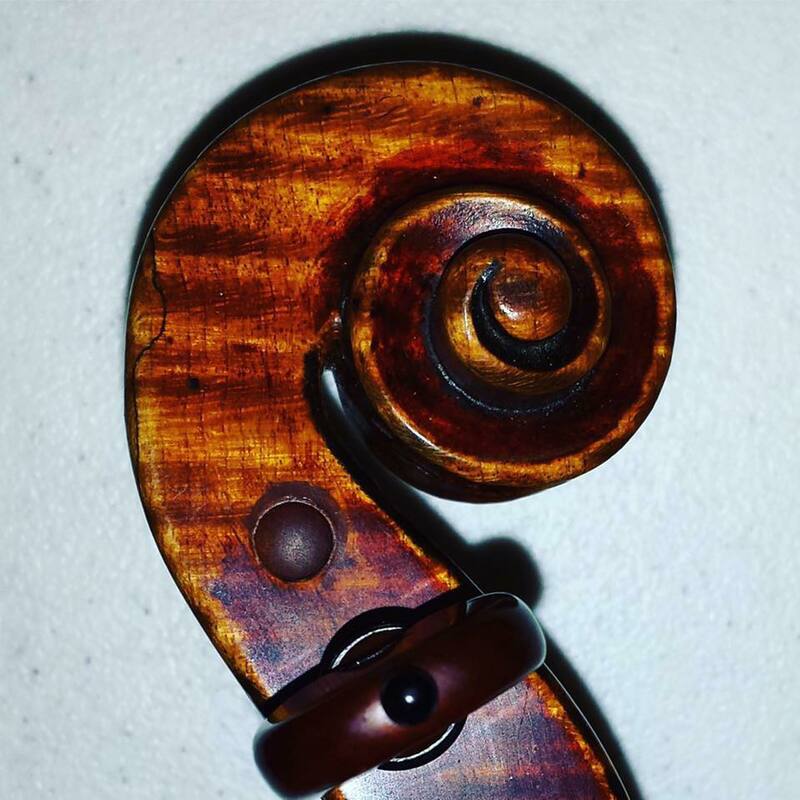 By Andy Fein, Luthier, Fein Violins, Ltd. If you've ever seen someone struggling down the street or up the stairs with a cello, your first thought might be "Wow! Those are big instruments!" 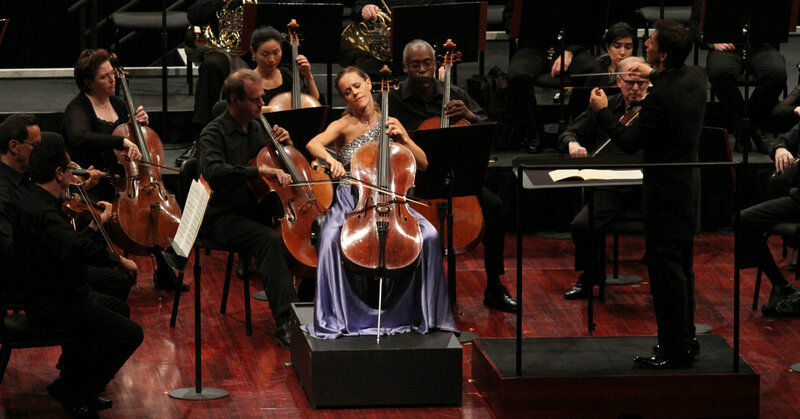 Well, in the very long history of cellos, many of them used to be even bigger. The standard body length of a modern cellos is about 750mm (29 1/2"). 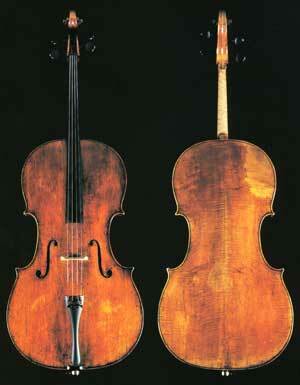 Before 1700, some monster cellos, even those made by great makers, were 760mm to 800mm (30" to 31.5"). These big cello were also proportionately wider in width. Think about that the next time you need to reach around your cello's upper bouts to play in upper positions! Many of us love looking at all the variations in the shape, color, style, and age of great violins, violas, and cellos. The web is full of great places to see some wonderful instruments. Stradivaris, Amartis, Guarneris, oh my! 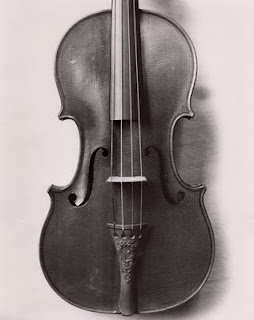 Stradivarius. So much of my life is wrapped around learning what he did, how he did it, and maybe even why he did it. Sometimes when I'm working on an instrument, I feel like I'm having a conversation with Stradivarius. Partly with words and partly with the way I work a piece of wood for a violin. Here are some things you may or may not know about him. One of the amazing things about Antonius Stradivarius is the longevity of his working life. Born in 1644, Stradivarius' earliest instruments date from about 1670, at age 26. By age 26, Stradivarius was already a well trained luthier with finely honed skills. He kept working and making great instruments until he was 93. Recently, I read a news story about a former priest pleading guilty to helping his mobster friend find a supposed Stradivarius hidden inside a wall of a home in Wisconsin. My inner ears perked up! What could be a better story? The Mafia, a supposed Stradivarius hidden inside a wall, a corrupt priest, a few hundred thousand dollars (in cash, of course), a bunch of loose diamonds, FBI raids, and a heartfelt confession. Sounds too good to be true. But it is! 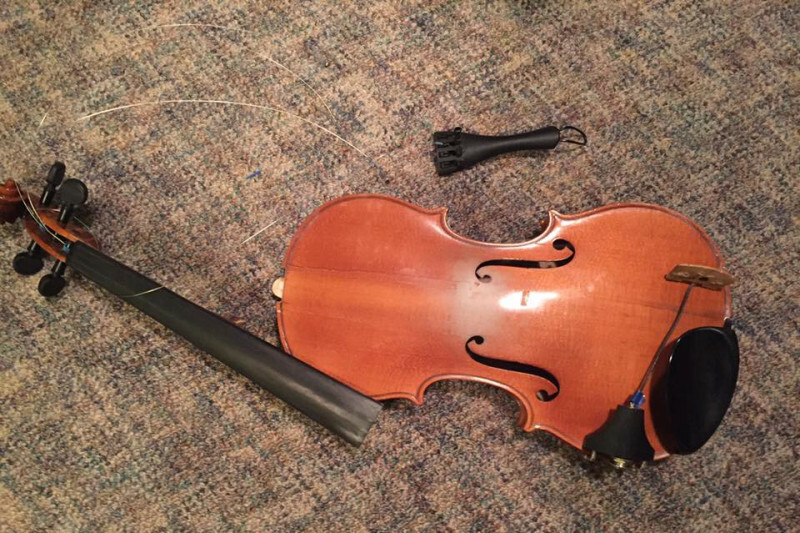 Recently, a high school orchestra student had a very unfortunate mishap. A piece of metal from the tailpiece of his violin popped off and hit him in the eye. The accident caused fairly extensive damage to his eye. Hopefully, the damage will not be permanent and his sight will be restored. But it made us realize that not everyone knows that your violin, viola, or cello is not bomb proof. They need maintenance! 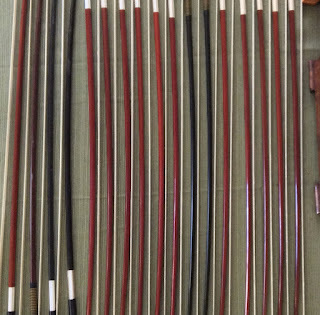 Maintenance to ensure the best sound and playability, and sometimes just for basic safety. I have not seen the actual instrument, so I'm going to speculate that the piece of metal was actually the metal ball from a ball end string. So, here's a list of some things you should regularly do to ensure the health of your instrument. And you! David Tecchler is a luthier that has long fascinated me. I first saw his work when I was an apprentice in violin making school. His work is an interesting combination of German/Tyrolean style blended with a few Italian styles. Even though he was born in Salzburg, Austria in 1666, he's generally considered an Italian maker because most of his work was done in Rome. His well loved cellos are often valued in the $1,000,000 (yes, that's one million) and up range. But if he was considered a Tyrolean maker, the vagaries of the market would knock a zero or two off of those values. And his cellos are fantastic! Dare I say it? Some of his cellos rival Stradivarius' in terms of sound, carrying power, and refinement of tone. 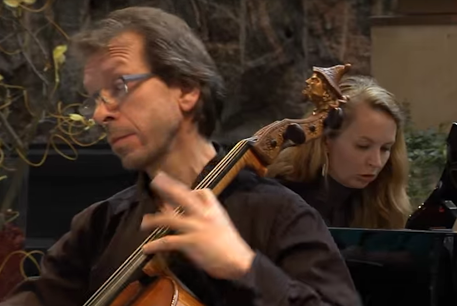 Then there's his most famous cello, the 'ex-Roser', generally attributed to the year 1723, and beautifully played for many years by Robert Cohen. A great sounding cello! Look where the scroll should be. There's an elaborately carved head of a bearded man wearing a distinctive hat. Who.Is.That.Guy? Beethoven wrote a beautiful Concerto for Violin, a wonderful Triple Concerto for Violin, Cello, and Piano, nine great Symphonies, five superb Cello Sonatas, plus a bunch of Concertos for lots of other instruments. But we don't have a Beethoven Cello Concerto. Why? 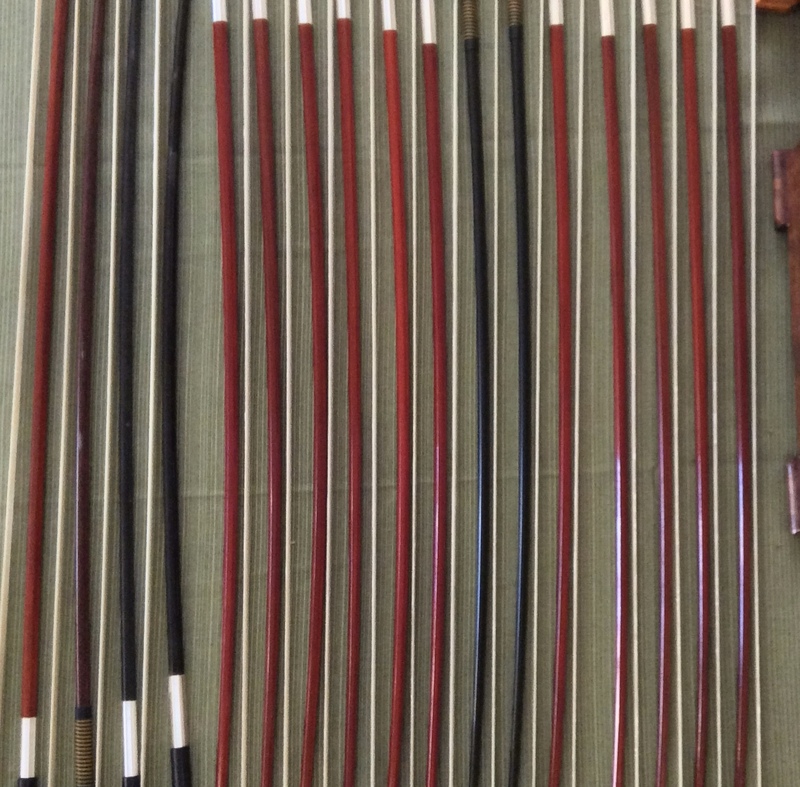 Wood or Carbon Bows- Which are Better? Pernambuco or Brazilwood, What's the difference?